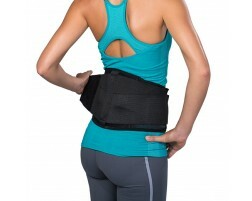 Stay on the move with a back support brace specific to your needs. Shop our wide selection of back braces to help relieve pain and pressure on the lower back and spine and give lumbosacral support. 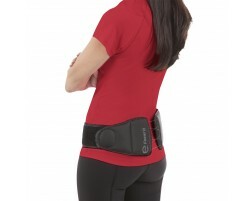 Our back support belts can be worn daily or as needed with vigorous activities. If you are looking to improve your posture to prevent back pain, check out our selection of posture back supports. For abdominal strains or rib support, check out our selection of compression support to help promote healing. Shop back braces for men, women, work, sports, daily wear and more. Not sure what type of back brace you need? Try our guided tool, Brace Advisor, for recommendations, shop by your back injury or learn more about the different types of back supports. Back injuries are a common cause of job-related injuries in the United States. Activities that require repetitive motion or strain on the back, such as lifting and twisting, can cause sore muscles and back pain. Back injuries often occur during sports and other physical activities as well. Contact sports can especially stress your back. (Learn more about common back injuries.) Wearing a back brace can provide extra support to your lower back when participating in these activities and is the best way to prevent hurting your back. Back braces offer compression, which helps stabilize your back as you move around. Some individuals also wear back braces to help with posture and slouching. Which Back Support is Right for Me? For general, everyday use, we recommend the DonJoy ComfortFORM and the Saunders S’port All Back Support with Shorts. The ComfortForm is low-profile, provides moderate compression, and helps stabilize the back and spine to prevent spinal overload. The Saunders S’port All combines an adjustable back support with athletic compression shorts to help fully support the lower back and sacroiliac joints. The Exos FORM II 626 back brace provides unique spinal decompressions to support L-1 to L-5 delivered through Boa® Technology. The level of support can be easily adjusted and personalized with the simple twist of the Boa® dial. Adjustable Belt Wings are fully removable and can be angled to help accommodate different waist sizes. 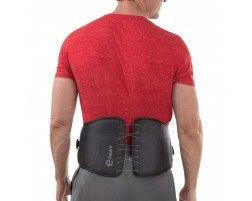 For the athlete, the best back brace will provide compression and protect against strains while feeling comfortable. The DonJoy Performance Bionic Back is ideal for athletes with vertical lumbar stays to help with posture to reduce pulling your back. The Bionic Back is made of stretch webbing and breathable mesh for cool comfort around the torso. If you are experiencing back pain, consult your physician for a diagnosis and treatment plan. Temporary back pain relief and treatment can come from rest, ice or hot therapy, and pain relieving sprays which will help cool and warm the area.